The language app „Conni Englisch“ was developed in cooperation with the Carlsen Verlag and supports German-speaking children between the age of six and eight in learning English in a playful manner. 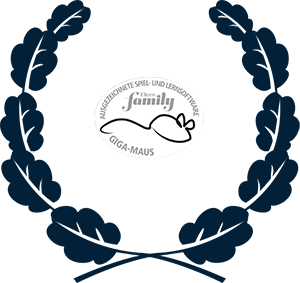 With „Conni Englisch“ the large publishing house Carlsen Verlag GmbH created a language teaching app settled in the famous kids character's universe. Needless to say, we at Gentle Troll were very excited they picked us as development partner to make this important step and trusted us to deliver a high quality product, which matches their high standards and expectations. In this fruitful collaboration we developed the underlying concept together and poured our combined experiences with and passion for making children apps into this little gem. Additionally, the three different games within the app were evaluated by a pedagogic consultant to make sure they appropriately address the skill set of the target group. In order to match the visual style of the recently reworked Conni world, we brought Stefan Leuchtenberg as a very seasoned illustrator of kids books and apps onto the project. He instantly adopted the art style and even managed to introduce a brand new character, Tom, without any hassle. Understandably, we are extremely proud of the final product. The app is aimed at German speaking children aged 6-8 and touched ground in major app stores mid April 2017. Since then, it has received fantastic feedback and user reviews. So, if you are looking for a fun (and pretty!) app to get your kids started with English, you might just get happy with this one. Have a look! 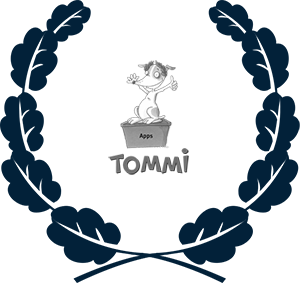 TOMMI 2nd place Category: "Best Apps"
GIGA-Maus 2017 Awarded "best learning game"